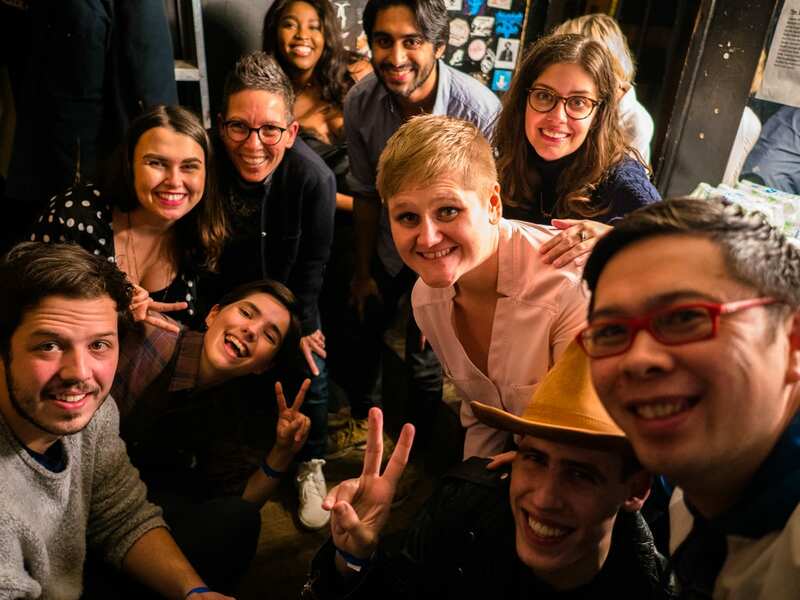 Up and Comers 7 presented by Queer and Present Danger was Amazing! What an honour to be on the part of the amazing lineup at Up and Comers 7 presented by Queer and Present Danger. 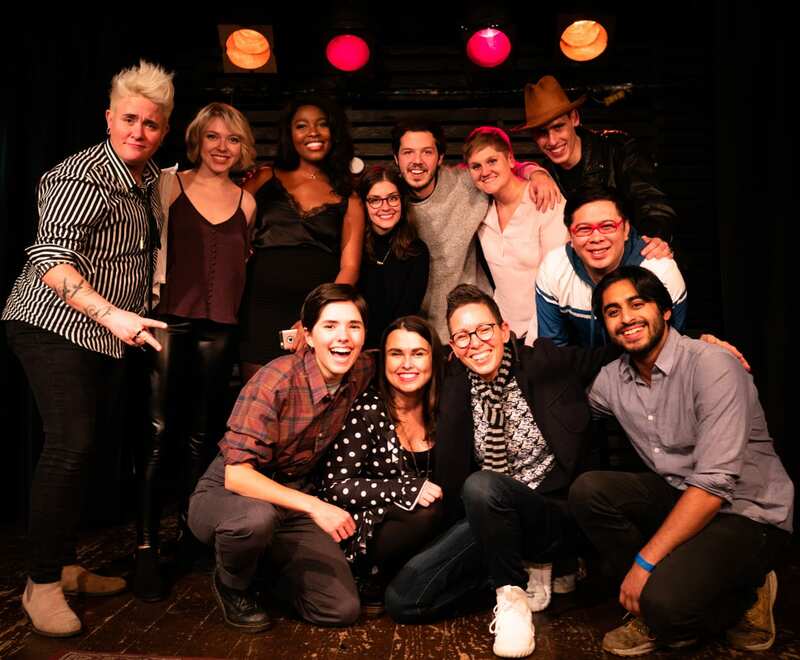 The event was hosted by Chanty Marostica and anchored by Melissa Darling and Canadian comedy legend, Elvira Kurt. 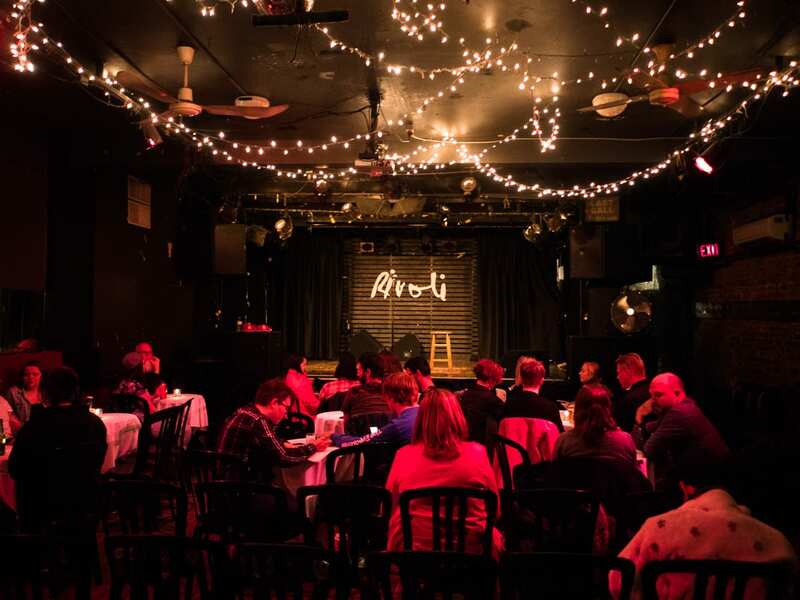 The Rivoli in Toronto is a gorgeous venue. I arrived early to set up video cameras to capture the show, and the whole setup of the room is basically perfect for filming. There are great sight lines all around and the technical and wait staff were super helpful. The lovely Robin Valerie came early to help set up the cameras to ensure everyone got great footage. 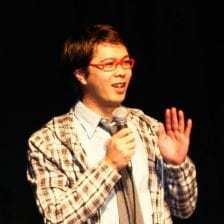 I performed in the second half of the lineup. The crowd was so amazing and supportive, even cheering when I adjusted the stool! It’s always great when a crowd keeps their energy up all night long, especially since I was near the end of the show. The amazing Elvira Kurt closed the show with a remarkable set. 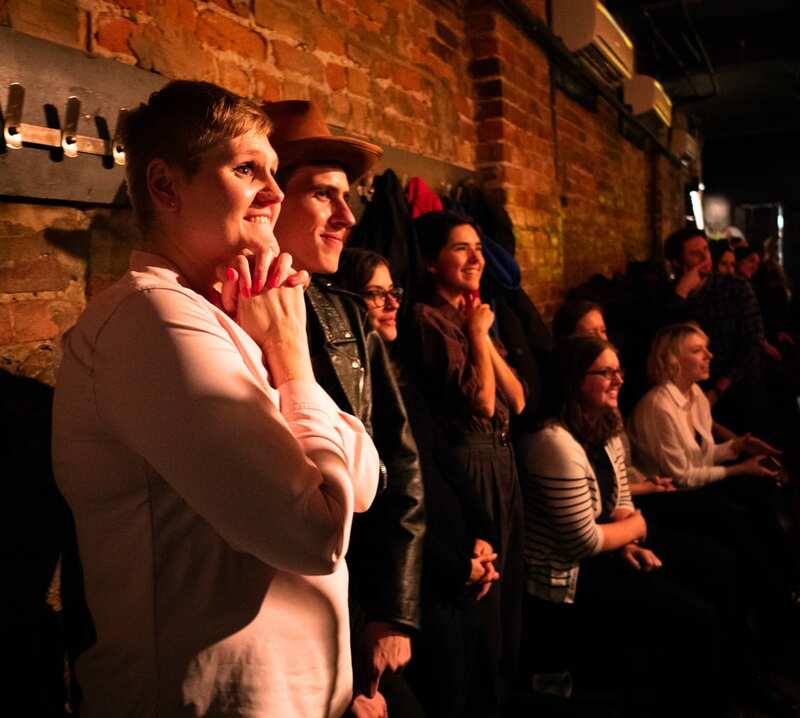 The new generation of queer comedians all looked on in awe as Elvira commented on every single performer’s act from earlier in the night. It really meant so much to the comedians to be acknowledged by their hero. Not everyone was able to stay after the show to take this cast photo, but definitely happy we were able to get the rest of us in together. What an amazing end to a memorable night.